PPTP stands for Point to Point Tunneling Protocol. 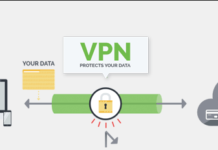 It is a protocol which allows a secure data sending from a remote client to a private company server by making a Virtual Private Network or VPN through TCP or IP-based data networks. This protocol is established by Microsoft and Cisco. This PPTP technology of network is the establishment of a remote access point to point protocol taken out by the Internet Engineering Task Force or IETF. 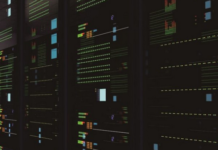 PPTP changes PPP packages into IP datagrams so that it can be sent via the internet. This network protocol is also able to be used on LAN to LAN personal networks. PPTP has been there since in the Windows NT server operating system and Windows NT Workstation 4.0 version. The computers which run with those operating systems are able to use the PPTP protocol to safely link with the personal network as a user with remote access via the internet. This PPTP network protocol is also able to be used by devices which are linked to LAN in order to create a VPN via LAN. The major benefit of using PPTP is being capable of using a Public Switched Telephone Network or PSTN in order to create a VPN. The simple and low-cost development of PPTP network protocol to be widely used can be a settlement for remote and mobile users. Because PPTP network protocol provides safety and communication encryption via the internet or PSTN. The important feature of the use of PPTP network protocol is the support for VPN by using Public Switched Telephone Network (PSTN). PPTP simplifies and reduces costs if it is used in big companies. PPTP becomes a popular choice of a virtual private network because of its ease in settings and usage. 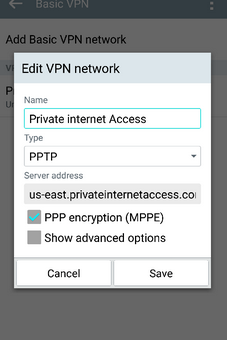 You do not need to install VPN Clients to be able to connect with PPTP VPN network servers. This Point to Point Tunneling Protocol connection can run on various operating systems. Such as Linux iPhone operating system, MAC, Android, and Microsoft Windows. Those operating system already have this built-in protocol. 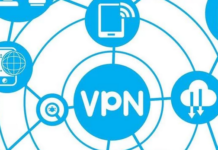 You only need a server name, VPN account includes a user name and password to be able to connect with the PPTP VPN server. This type of connection is widely used in the WiFi hotspot area in order to protect online privacy and prevent other parties who have the intention to hack your smartphone or other devices that you use in a public hotspot area.